Come and enjoy in the quirky ambiance of our Snow Theme Park that offers tourists with the opportunity to maximize fun and entertainment. This theme park offers a plethora of entertainment facilities to people of different age groups, while the children can enjoy the rides and the games, the bar for adults offering drinks in real ice glasses is one of a kind, and you can hardly ask for anything more. With the option of playing in the real snow, the children are going to have a blast and the teenagers can enjoy dancing to the tunes of the DJ. Our offerings are a way ahead of the usual time you spend during the vacation and we want the tourists to enjoy thoroughly in this snow theme park. Given that this theme Park is conveniently located between Calangute and Baga Beach, it offers revelers a surprising change from the age-old recreations the tourists enjoy in Goa. With thrilling snow sports activities in Goa enjoyed at temperatures below -5 degrees Celsius, this Snow Park offers truly the best form of entertainment in a colorful and vibrant destination which is known for its appalling sea beaches. With no additional charges to be paid apart from the tickets, the tourists can use their cell phone and camera freely to photoshoot. If you are worried about the safety of the ice used in this park, the authorities use water only for the snow instead of chemicals. 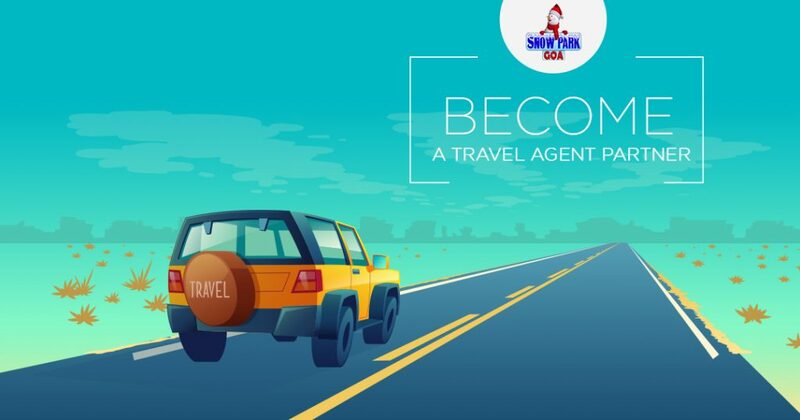 For a completely changed form of entertainment and spending time with your family in a flamboyant destination located at the heart of Goa, this Snow Park can leave a lasting impression on you. The park offers winter gear of different sizes to the tourists on return basis and the cost is included in the tickets. How about enjoying drinks in real ice glasses? Visiting this theme park will change your concept about fun and merrymaking in Goa as this is a pioneering aspect of entertainment for the tourists visiting this destination. While you can enjoy the attractions in the snow park, the tourists can also enjoy celebrating their special days in this location. For a perfect form of family entertainment in a delightful and pleasant destination, it is going to be a memorable trip for everyone visiting the Snow Theme Park. We are looking for travel and tourism partnership companies to expand our customer base. Since we are looking for a long-term cooperation, we provide special discounts and privileges. We would be ecstatic to add you among our partners.